You will earn 54 WayPoints for each product that you purchase. 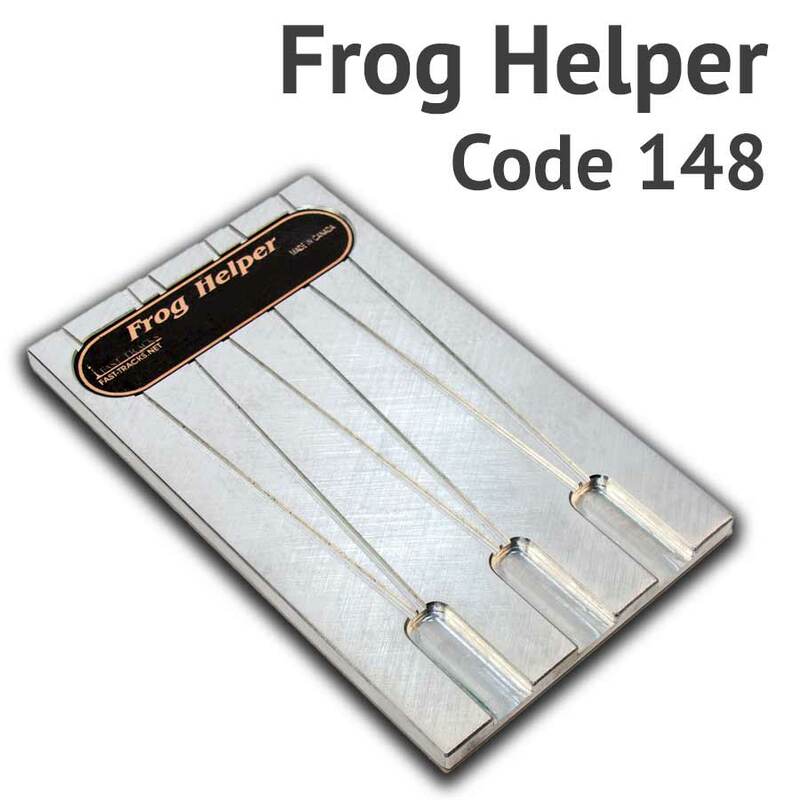 The Fast Tracks Frog Helper soldering jig makes easy work of building precision frog points for #8, #10 & #12 switches with ME Code 148 rail. 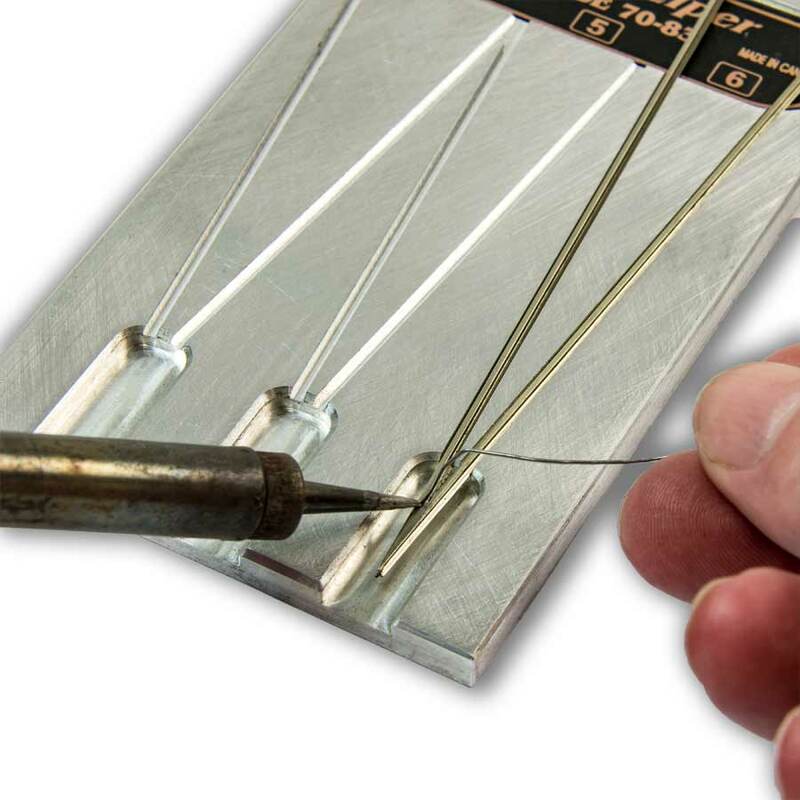 This simple jig works by holding prepared rail at a precise angle so that the frog points can be pre-soldered. Its use is simple, slide the prepared rails into the jig, solder the points together and you are done! 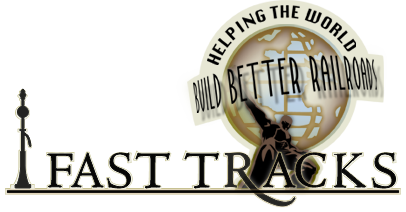 Produces consistent, reliable results - Creates smooth operating turnouts every time! 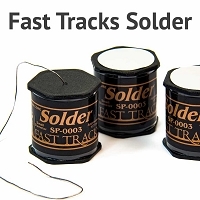 Frog points constructed with the Frog Helper are ideally suited for constructing turnouts using Fast Tracks TwistTies, but can also be used for any hand laid trackwork. To make point building even easier we highly recommend that you consider purchasing a matching PointForm tool. 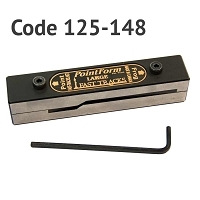 The PointForm tool will help you file precisely fitting frog and switch points quickly and easily and is an ideal companion to the Frog Helper tool. A PointForm tool can be added to this order by selecting it from the options above. 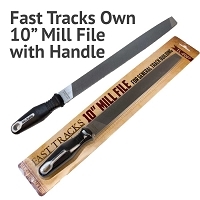 This tool has been designed to be used with our TwistTies products. 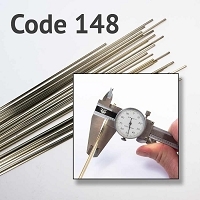 It is not required if you are purchasing an assembly fixture, or an assembly fixture kit. Get a head start by downloading our Frog Helper builders guide for straight turnouts now. Get a head start by downloading our Frog Helper builders guide for curved turnouts now.